It is with great honor and trepidation as I take pen in hand to share my thoughts and musings of days gone by. Yet first I hope you will allow me to share with you my impressions on today’s modern woman. Woman have fought and struggled to find himself equal in a man’s world and today have opportunities only dreamed of in my time. Yet I wonder, after the swords of battle are lain down, and women at last are victorious in the fight for equality, what has been lost in the process? Women will never be equal to men, nor should we want to be. Women have worked so hard to be the equal of man that they have forgotten the true inner strength they have always possessed. This strength is so much for powerful than the physical strength of any man. It is this strength, the strength of our character, our faith, if you will that settled this great country. I mentioned in the beginning, it was great trepidation to write, as life has changed so greatly, my observances may be found to be out of style, or my opinions old fashioned. Good manners are never out of style. As a woman you commands attention in the way you carry yourself and your behavior towards others. A true woman does not demand attention by exhibiting vulgar and outlandish behavior. You may attract attention, but not necessarily the attention you were seeking. It is delightful, women in today’s busy world, find the time to bring a little bit of grace and elegance to their hectic days by recreating days gone by. Fond memories of teas, picnics Sunday dinner, parlor games, warm my heart and mind still. As ladies in any time period, we always want to look our t best, but to adorn yourself in the fashions of yesterday it is only appropriate that you clothe yourself in the manners of that time as well, which reminds me of a saying my grandmother was constantly relating to us girls. In my time no decent woman of polite society would even consider putting one of those foul things to her lips-although I am quite aware things have changed, maybe not always for the best-the idea to attempt to create the perfect picture of the Victorian lady who decide to partake in smoking is preposterous, not only does not look right, you have the audacity to offend those around you by the odor that will remain on their clothing as well as the offense breath you will have afterwards. 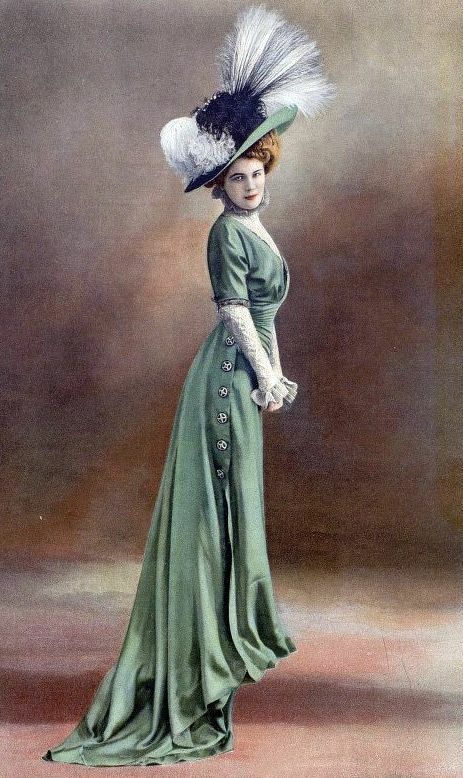 Every woman needs to have in her possession a fine well-written book on Etiquette and my personal favorite is Chesterfields Complete Rules of Etiquette. Another class of tattlers are those who visit their friends and take note of all the habits and customs of the family, the conversations at table, the government of children, treatment of servants, family expenditures, employments and dress of the mistress, the even the late ours of the male members, should there be any who stay out late. These are retold in detail at the next visiting place. It is almost unnecessary to say that such people are contemptible. If you wish to preserve any claim to respectability or social position, you will refrain from criticsing even by a single unfavorable remark, anything you may have observed in the house of a friend where you were stopping as a guest. I am so looking forward to visiting with you and sharing with you memories of the past.